Update Account Information: You have the right to update or change any information you have provided to us. 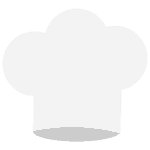 To update or delete your information, please contact us at info@chefsforkids.org. Emails And Communications: You may opt out of receiving future email correspondence from us by checking the appropriate box when you register for the account or make a purchase. You may change your communication settings by contacting us at info@chefsforkids.org. Marketing Communications: You may opt out of receiving any third party marketing communications or having your personal information used for marketing purposes. You may do this by contacting us at info@chefsforkids.org.